Lavazza Qualita Rossa is roasted in the North-Italian city of Torino (Turin) and is the first pleasure in the morning in Italy. Lavazza Qualita Rossa is beside the Lavazza cream e aroma the mostly sold coffee kind which is exported worldwide. The Lavazza Qualita Rossa distinguishes itself primarily by the balance of all components which the classical espresso lover expects from an original Italian coffee. The velvety and rich in body mixture of Lavazza coffee contains the soul of South America and the heart of Africa. The African Robustas give body and chocolate aromas, the natural Arabicas of the Brazilian plateaus, however body and sweet aromas. For the Lavazza Qualita Rossa the coffee beans are optimally mixed what in the result end in a velvety feeling in the palate. 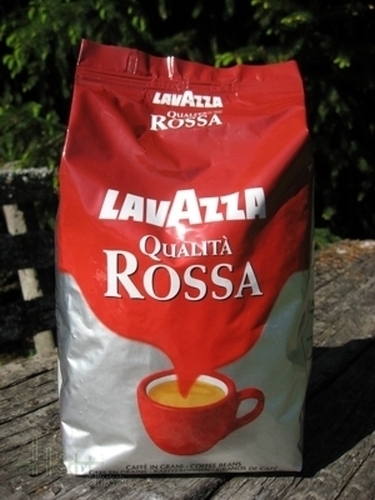 Lavazza Qualita Rossa is the classic breakfast mixture or for many short cups occasionally. A coffee which is suitable very well as an espresso, Cappucino, Latte Macchiato. Понравилось. Приятная цена, высокое качество.